Reed, John, ed. All the World's a Grave. New York: Penguin, 2008. 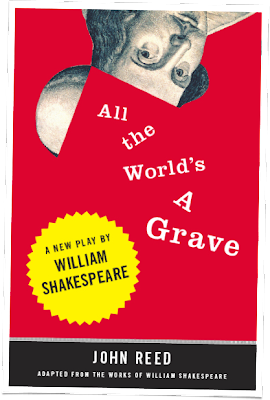 I couldn’t quite believe All the World’s A Grave: such an original idea. The verbal parallels it plays with are intriguing and certainly have merit in pointing out that Shakespeare did repeat situations and ideas throughout his plays. All the same, I'm willing to give it a try. I'll let you know what I think. "The rest . . . is . . . Silen[t Hamlet]." "If We Shadows have Offended . . ." Get Over It! How to "Smile, and murther whiles [you] smile." Finally—A Bit o' th' Play! WDWT: What Did Welles Think?